DAYTON – April 4, 2019 – Baird, an employee-owned, international wealth management, asset management, investment banking/capital markets and private equity firm, today announced that it has added the Family Wealth Partners, a financial advisor team with eight wealth management professionals, to its Dayton wealth management office located at 8063 Washington Village Drive. “We are excited to welcome the Family Wealth Partners to Baird and grow our presence in the Dayton market,” said Brian Kurtz, Market Director for Baird’s Private Wealth Management business. "Their impressive years of experience and commitment to providing the best financial advice and service to clients make them a tremendous asset to our team." Bradley brings nearly 30 years of industry experience to Baird. He is a graduate of University of Dayton where he earned a bachelor’s degree in finance. 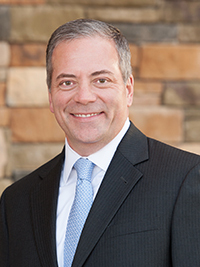 Bradley is an Investment Committee member for the Davis Center for Portfolio Management at the University of Dayton. He is also a member of the Board of Trustees at Archbishop Alter High School. King comes to Baird with over 25 years of industry experience. 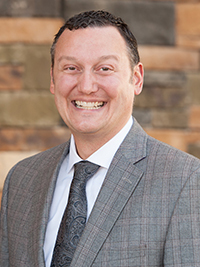 He is a graduate of Wright State University where he earned a bachelor’s degree in business, majoring in accounting and finance. King coaches youth sports and has served for several years on his community’s youth football board. 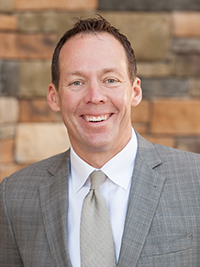 Rathbun brings 20 years of industry experience to Baird. He is a graduate of Wright State University where he earned a bachelor’s degree in business. Rathbun is a volunteer and supporter of Hospice of Dayton, The Food Bank, Inc., Dayton’s V.A. Medical Center and the Dayton Community Blood Center. He is also deeply involved with Beavercreek, Ohio’s “Weekend of Jazz” music festival. Schock comes to Baird with nearly 25 years of industry experience. He is a graduate of Wright State University where he earned a bachelor’s degree in finance and financial services. Schock volunteers at Hospice of Dayton, Dayton Food Bank and the Dayton Community Blood Center. He is also involved in other organizations such as St. Luke’s School Committee and Carroll High School, as well as the Knights of Columbus and Fraternal Order of Police Auxiliary at the John C. Post Lodge #44. This news comes on the heels of Monday’s announcement that Baird’s deal to acquire Hilliard Lyons has officially closed. In addition, Baird added 62 financial advisors to its Private Wealth Management group in 2018, the majority of whom are industry veterans. 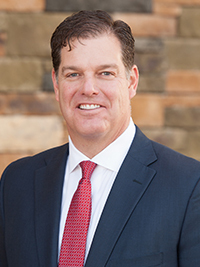 Baird also added new wealth management offices in; Abilene, Texas; Anchorage, Alaska; Ann Arbor, Mich.; Durango, Colo.; Elgin, Ill.; St. Louis, Mo. ; Sun City and Tucson, Ariz.; and Toledo, Ohio. Baird’s Private Wealth Management business encompasses more than 925 financial advisors serving clients through 100 locations in 31 states, and has client assets of $140 billion. Celebrating its 100th anniversary in 2019, Baird is an employee-owned, international wealth management, asset management, investment banking/capital markets and private equity firm with offices in the United States, Europe and Asia. Baird has 3,500 associates serving the needs of individual, corporate, institutional and municipal clients and more than $208 billion in client assets as of Dec. 31, 2018. Committed to being a great workplace, Baird ranked No. 16 on FORTUNE’s 2019 100 Best Companies to Work For list. Baird is the marketing name of Baird Financial Group. Baird’s principal operating subsidiaries are Robert W. Baird & Co. Incorporated in the United States and Robert W. Baird Group Ltd. in Europe. Baird also has an operating subsidiary in Asia supporting Baird’s investment banking and private equity operations. For more information, please visit Baird’s website at www.rwbaird.com.